ICQ Messenger is another instant messaging app designed for Android. However, the app stands out with a few excellent features. All of the stickers found within the app are exclusive and cannot be found elsewhere. ICQ even includes a password protection feature that lets users enter a PIN in order to lock access to their account. Otherwise, ICQ Messenger is an excellent instant messaging platform. Users can keep in contact with each other, share files, and more through the app. New features are added on a regular basis, and the app continues to improve at a rapid pace with each update. 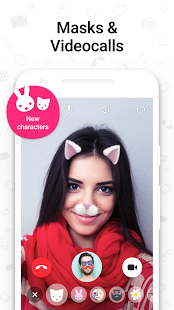 The world's most secure messaging app with free HD video call.